FUNKYRIFFIC: DAY 2 : FUNKYRIFFIC. THE MEANING BEHIND THE NAME. DAY 2 : FUNKYRIFFIC. THE MEANING BEHIND THE NAME. If you have been following my blog, you will realize that I have changed my blog name for quite a bit. What started off as a platform for me to jot down my goals and plans became a lifestyle based blog with travel, DIY, stories etc. Before I dive into the meaning of Funkyriffic, let me share a bit of the blog's history. 1. Nawal's Goal-icious - Where it all began. In 2007. I had a friendster blog before and it's all GONE! (if you know how to retrieve it let me know!) Nawal's Goal-icious was all about jotting down things that I wanna do in my life or I call it now as #40things and steps to achieve it. This was the foundation of my blog and I still do this. You can check out the list of all the things that I wanna do or achieve or try at least once in a lifetime. Click here. 2.Nawal's Goalicious - Same ol same ol. This was the first time I started using a Macbook and bought myself a Wacom Bamboo hence you can see my blog banner a lil bit sophisticated than the previous one. 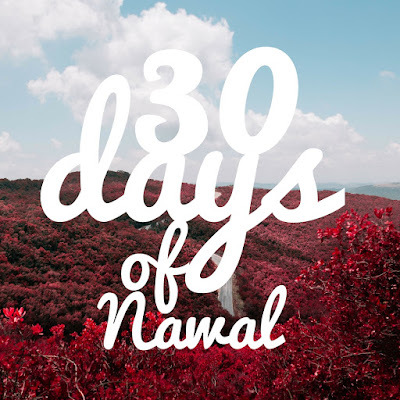 3.Nawal's Life in a Suitcase - The beginning of putting 'lifestyle' elements in my blog. 4.The Eccentrico Funky Muslimah - I started donning the hijab around this time (2011) and my blog still focuses on lifestyle added with spiritual elements in it. 5. FUNKYRIFFIC - The blog took another turn. I wanted it to sound universal yet still represent me. I maintained the word Funky and combined 'terrific' in it hence FUNKYRIFFIC. I still remember I was in a car, late 2012 or so, I was going back and forth to Giatmara, taking my dresssmaking course, thinking of what kind of name to rebrand my blog. It mantained all the content and elements from lifestyle to spiritual based on my own experiences. FUNKYRIFFIC was the name that I came up with and it stays till now.